Thanks for stopping by. Unfortunately, I left my red umbrella on the metro ~ hopefully someone else likes it as much as I did. 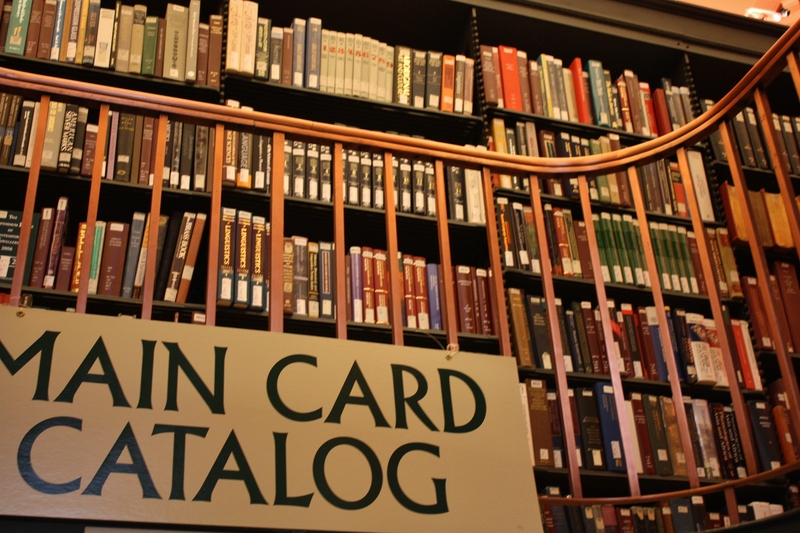 Excellent tips – I really like the Library of Congress so thanks for the information about obtaining a card! What great tips! Not at all the usual tourist sites (speaking from a foreigners perspective). Thank you for sharing! 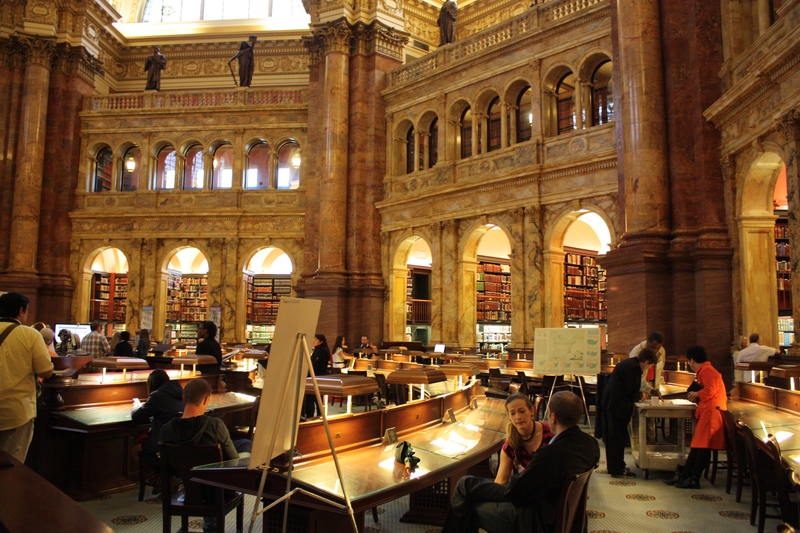 That Main Reading Room is incredible! I imagine that I’d wander around, looking at everything in awe. You would have a field day in the photography reading room. I wish I would have come across your blog earlier. I recently spent a week exploring Washington D.C. What a historically rich former swamp :). There is so much to see so I’m sure I can use your insights. Great blog. Thanks for sharing! Wow! Your comment made my day ~ thanks. Hopefully you’ll get a chance to explore Washington DC again soon. I am looking forward to another trip. There are a ton of places I didn’t have time for, but I’d like to hit up Mount Vernon again. :). Very informative post. I knew about the Reader’s Card (did that with a visiting German student so she could get into the Main Reading Room) but the scheduling on the House and Senate galleries was something I didn’t have. Thanks for puting it out. Just read your post about DC ~ loved all the fun photos. Very cool. It’s been a long time since I was at the LC but I was just at some hearings last spring and astonished how easy it was to get in. As it should be! Reading this makes me realize how much I’ve missed on our short but wonderful visit last spring. There is so much to see and do. I love the architecture that I saw and all the stories to go with it. Lots of beautiful gardens too. Great photo! I’m so glad I got a chance to meet you on your brief trip to DC. I feel like I’ve explored the city a lot and then I realize there’s so much more. Hope you get a chance to come back soon. There are so many layers to a place like D.C. San Francisco is like that too (just an hour north of here). It was nice meeting you and what a fun lunch we had that day. Interested that you mentioned the Madison building. Last time I was in DC I followed a guide book tip and ate lunch in the cafeteria there. Followed by an excellent docent-led tour of the Folger Shakespeare. My blog post says that the food was good and cheap. It was a bit of a trek to get there through the underground tunnels from the Jefferson building (it was summer…). We love the city. When we were dating, Alie used to study in the carrels in the Library attic while I was working in the Longworth Building and we would meet for a snack around 10 p.m. Eventually we developed our own “tour” for friends that featured odd items like the statue of a general riding his favorite mare. The horse subsequently had welded on parts because the general’s family felt he should be riding a stallion. After a couple decades away, we hope visit in the fall.